Your heart is the most important muscle in your body. It’s the thing that keeps you alive! Ignoring it is the worst thing you could do! Now don’t get me wrong, cardio can be super boring which is honestly why I used to hate doing it along with a lot of other people I knew in the gym. What is cardio training and why do you need it? I feel that we should start things off with a definition. Most of us use the word “cardio” very loosely. What are we really referring to when we say “cardio”? Is cardio a long, slow distance activity like running, biking or hiking? Or are we talking about high-intensity interval training (HIIT) and circuit style workouts? The word “cardio” is derived from the Greek word kardia, which means heart. 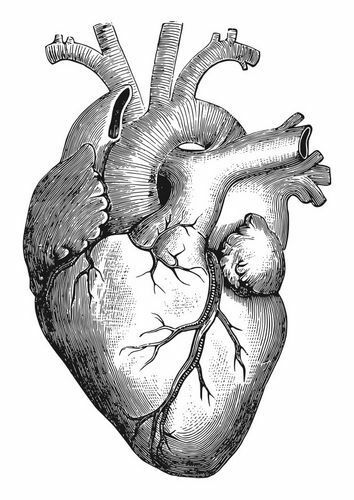 It’s short for “cardiovascular” or “cardiology” and refers to anything related to the heart and circulatory system. Therefore, any form of exercise that increases the heart rate or has cardiovascular benefits is technically cardio, from jogging in the trails, weight training to boot camp style workouts. Cardio training plays an important role in our overall health and well-being. Let’s face it, our bodies were made to move. I am sure you already know this… in order to keep your muscles in shape, you need to use them and challenge them on a regular basis. If you fail to do so, your body will deteriorate and your overall health will suffer. FACT: The heart is the ultimate muscle. That’s right.Your heart is the most important muscle in your body. It’s the thing that keeps you alive! Ignoring it is the worst thing you could do! Strengthening your cardio-vascular system = more capillaries = more oxygen being delivered to the cells in your muscles = more of an energetic and happier YOU! Including regular cardio workouts into your life, produces many amazing benefits. It is no secret that exercise can help with weight loss, after all, exercise burns calories. Combined with a great nutrition (lots of fruits, vegetables, and unrefined plant-based food), cardio workouts can provide weight loss results quickly. But make sure you add some strength training to retain and maybe even increase your lean muscle. As we pointed out already, your heart is a muscle and needs to be worked just like your other muscles. Cardio workouts can provide the much-needed health to your heart, reducing the risk of coronary heart disease while strengthening your lung capacity. By getting the heart pumping at a faster rate on a regular basis you will keep it in shape and healthy. (Lowers Blood Pressure and Cholesterol). For those who have diabetes, cardiovascular exercise helps manage this condition. By including proper cardio sessions into your routine you will be able to increase the muscle’s ability to utilize glucose. Those who exercise regularly tend to have better control of their blood sugars and do not see as many blood sugar swings as those who don’t. When our muscles are strong, it provides support to our bones which increases our bone density which, in turn, strengthens joints. Weight-bearing aerobic exercise like walking helps to decrease the risk of osteoporosis and reduces the chance of hip fracture as you age. This might reduce the need for therapy. Regular massages are known to promote such benefits, even the percussion massager has had its share of positive reviews. Stimulated with touch, the body is capable of surprising most with its power of healing. Want to fall asleep faster and wake up feeling more rested? Get moving! As little as 10 minutes of aerobic exercise, such as walking or cycling, can dramatically improve the quality of your nighttime sleep, especially when done on a regular basis. What’s more, exercisers may reduce their risk for developing troublesome sleep disorders, such as sleep apnea and restless leg syndrome. Studies show that exercise can treat mild to moderate depression as effectively as antidepressant medication—but without the side-effects, of course. In addition to relieving depression symptoms. When you start exercising regularly, you’ll quickly realize that your mental strength, or willpower, is stronger than ever, which in return will boost your self-esteem and allow you to feel just as good as you look. Studies have shown time and time again that exercise helps you feel more energetic and alert and over time your stamina will be increased while fatigue will be less prevalent. Getting your heart rate up during a healthy physical activity will cause your body to release endorphins which are responsible for your ability to feel happy and full of life. What type of cardio is the best ? There is no simple answer for this one. Do Whatever The Activity You Like Best! On second thought, that was not so complicated. Seriously. Just pick a couple cardio type of activities you enjoy and will most likely do on a consistent basis. Whatever best fits that description for you will be “the best” form of cardio for you to do. Really?!? But…What About Calories Burned? Doesn’t That Matter? In the grand scheme of your results, the type of cardio activity is pretty insignificant. What is more important here is CONSISTENCY. Let us explain; you may be choosing a cardio activity that puts you in the best position to burn a few more calories, but the worst position to actually perform this activity on a regular basis since it is something you are going to dread doing. Let’s face it, sticking with any form of workout program is already hard enough for most people as it is. Why make it even harder by picking a form of exercise you flat out dislike? So if you enjoy taking fitness classes to get your sweat on, do that. If you enjoy being outside, by all means, go out for a run in the trails. If you like riding a bike, ride a bike. If you like swimming and have access to a pool, swim. If you like dragging a sled, drag away. If you like burpees, jumping jacks, boxing, jumping rope, dancing, walking, or whatever your heart desires… go nuts! Our modern lifestyle is driven by intellectual stimulation and physical activities became increasingly limited for convenience. Even cardio type exercise (like jogging on a treadmill) can become very repetitive, which over time may lead to muscle imbalances, rigidity, boredom, aches, and pain. So make sure to keep things interesting by introducing variety of movements into your life. Our AV Coaching program is designed to make you feel and function better in every aspect of your life. Our aim is to teach you how to pay attention to your body during movement as well as in rest. Each week we explore different possibilities and introduce new ways to challenge the body while having fun. This way of exercising helps you not only burn calories but also improves mobility, tones the parts of your body that became passive, and keeps your body young. And as far as we are concerned that is the key to a healthy & happy life. Cardio workouts are an important part of your fitness. It’s one of the main ways (together with a healthy diet and stress management) to prevent heart disease – the nation’s No. 1 killer — and stroke, the nation’s No. 5 killer. It’s best to start at a comfortable pace if you have not been active for some time, then gradually increase your activity intensity and duration as your body adapts to regular exercise. There is no “best” cardio protocol for fat loss. Find something you enjoy doing and incorporate variety to keep things fun. The simplest change you can make to improve your heart health is to start walking. This is the easiest and safest way to start getting in your cardio. Do at least 2.5 hours of moderate physical activity every week – 30 minutes a day, five days a week to improve your cardiovascular health. You don’t have to do the activity all at once! The minimum required is a moderate or vigorous effort for at least 10 minutes at a time. High-Intensity Interval Training is an amazing way to get in shape – fast. Short intervals at maximum intensity followed by short periods of rest known as HIIT (high-intensity interval training) are great all around workouts that won’t take much of your time. Find a variety of fun HIIT workouts HERE. Challenge yourself by doing 75+ minutes per week of vigorous activity (hiking is a great option) , if you are able to do it, to improve your cardiovascular health. Get a Jump Rope . Cheap, easy and burns tons of calories. If you remember doing this for hours as a kid you will be surprised at how exhausted you will get now. Before starting any new exercise program, it is important to check with a healthcare professional on any limitations or restrictions you may have, particularly if you have a chronic health condition. It is also important to start small and increase the time you are active and the intensity of your workout. Walking is the safest and easiest way to get started. Increase the amount of time you walk and the speed you are walking and before you know it you will reap all the rewards of cardiovascular exercise. As I mentioned above, the key here is to be consistent. You want to determine a long-term plan that will help you reach your health and weight loss goals in a safe and sustainable way. Any exercise is going to benefit, but through a good plan, you will be amazed at how quickly your body adapts to the challenges and how quickly the pounds drop. We are here to support your journey to become healthier, happier and the best version of yourself possible. 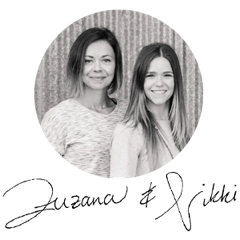 If you want a step-by-step online system that we spent 10+ years designing so that anyone could improve their health and well-being quickly and significantly, definitely look into our AV coaching. …We believe in the program so much we’ve put a 100% money-back guarantee on this so you have zero risks to try it out. …Nothing happens until you move. So let go of any excuses and postponements and get into this life-changing online program. You’ll be so happy you did. Snap up your membership here and get started today. Kindest wishes. Let’s make things happen for you. Why You Shouldn’t Skip Leg Day!